If you think about it in terms of a popularity contest, the high prices associated with Sydney’s Eastern Suburbs makes perfect sense. Everybody wants to move there, and so it’s value has shot through the roof. The Eastern Suburbs area – which includes Bondi, Randwick, Maroubra, Clovelly, Bronte, Kingsford, Queens Park, Bondi Junction and Kensington – is home to some of Sydney’s most well-known beaches, lookouts, cafes, bars and restaurants. Just east of the CBD, the geographically compact Eastern Suburbs sits in contrast to the sprawling west, north and south. 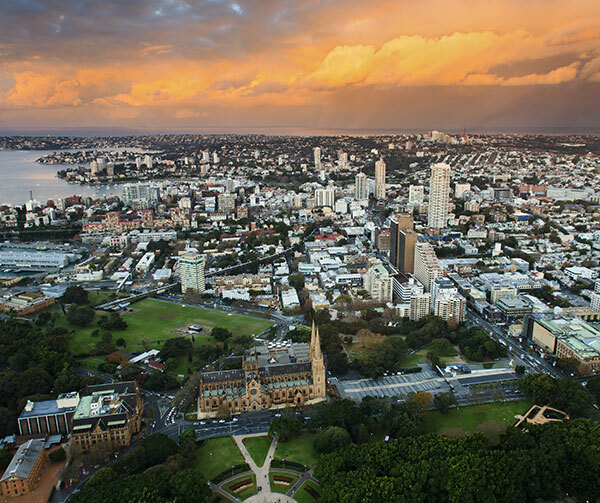 Sydney’s Eastern Suburbs encompass the Local Government Areas of Randwick, Waverley and Woollahra, which are some of the oldest and most well-established parts of Sydney. It’s close proximity to the city makes the Eastern Suburbs popular with those in the finance industry and other corporate sectors. It’s one of Australia’s most iconic and sought after real estate – and for good reason! The Eastern Suburbs’ Gross Regional Product is estimated at $16.13 billion, which represents 3.3% of the state’s Gross State Product (GSP). It’s population is around 277,828 (2015) and of these, 156,457 residents are employed. There are 29,715 local businesses in the Eastern Suburbs, which cater for 107,194 jobs. Key industries in the area are healthcare, education, construction, retail and real estate. Tourism is very important to Waverley, accounting for 17 percent of total employment. Woollahra is one of the most affluent areas and adds the largest contribution of real estate to its gross regional product of any other Local Government Area (LGA) in Australia. It’s also reported to have one of the finest local councils in the country. In 2016, the beach lifestyle is more popular than ever. But so too is the inner-city lifestyle, which is why the Eastern Suburbs is so popular – it offers the best of both worlds. In the Eastern Suburbs, proximity to the beach is a key drawcard for buyers. In the last 15 years, the coastal region has gentrified, and areas once considered undesirable are now attracting huge investments in bricks and mortar. From Bondi to Little Bay, new high-end restaurants, shops and apartments have transformed the Eastern Suburbs into a culturally diverse and exciting area. Big blocks close to the beach are highly sought after, and large amounts are being invested in the construction of high-end family homes. In fact, Woollahra has recently been named the best place in NSW to be a mum, because of its appeal for families wanting a great lifestyle. Indeed, gentrification is very much the call-to-action in the Eastern Suburbs, a great example being Bondi’s Blair Street. Buyers are looking beyond the traffic and old-school vibe, and are investing significant sums for the street’s large blocks, which are within an easy stroll of the beach, new shops, and top restaurants. Continued improvements of the area and strong demand for the convenient beach meets city lifestyle means prices are likely to remain firm for some time. The Eastern Suburbs has confirmed itself as a global city region, and the shining property prices and quick-to-sell homes reflect this. To find your next forever home in the Eastern suburbs, contact Mint360property today. We’re here to help you get the right place for your needs.